When David West was 16, he worked at at lawn mower repair shop. The owner needed some welding done on a mower deck. The shop owner had a welding torch, but his eyes were bad and he couldn’t use it anymore. So David offered to give it a try. He really enjoyed the challenge, so David bought his own welder. Practice makes perfect so they say and that’s what he did. Starting with small projects, more and more jobs started coming in to his make-shift shop in his mother’s garage. It began as a hobby, but soon became a passion. In 2005, David the opportunity to build some handrails for a house in Porters Neck, NC. Realizing the potential for a business of his own, David continued to take in bigger and bigger jobs. Word-of-mouth spread and David built a reputation for being a master welder who could work with any kind of metal to fabricate all sorts of solutions for both residential application, as well as industrial. In his current shop, he and his crew weld aluminum, steel, and stainless steel. They are skilled at MIG welding, Stick welding and TIG welding. They use a plate roll for rolling metal, as well as utilizing a150 ton 12′ press brake, shear, pipe benders, lathes and milling machine. The shop also has a CNC Plasma Table for custom plasma cutting. David West welders are American Welding Society (AWS) certified. 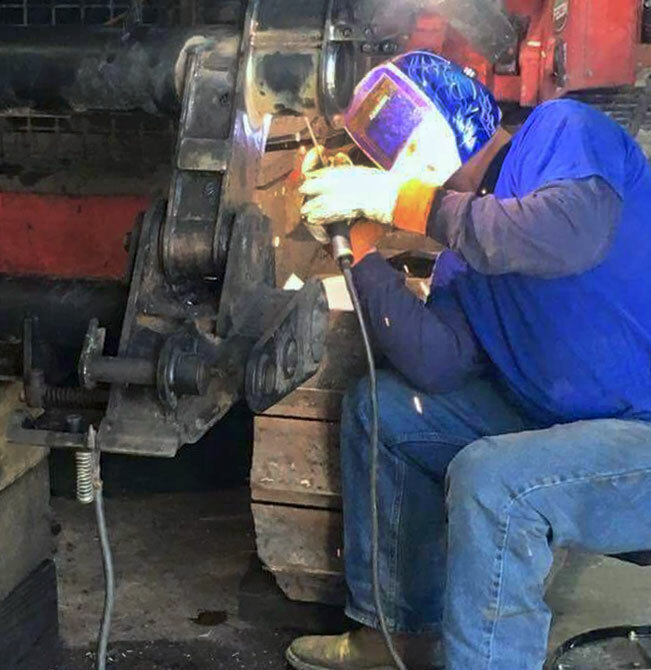 From small jobs, like repairing a lawn mower deck to building bridge rigging for a multi-million dollar bridge repair project, David West Welding can take and repair job or create just about any type of metal fabrication.